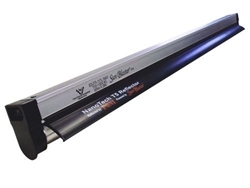 Great when used as propagation lights or for keeping mother plants alive, these fluorescent tube lights are available in both two-tube and four-tube models. 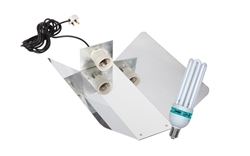 The Secret Jardin LED 26w Blue lights is a great alternative to HPS, CFL or T5 lighting. The 26W LED lighting can be used on its on as Propagation/ Vegetation lighting or as supplimentary lighting to your existing set-ups. LED are widely used as they have very low running costs, reducing your electricity expenses without reducing speed and quality of growth. As the name suggests, the CFL lead and lamp holder consists of an E40 lamp holder and a three-pin plug on a four metre lead. 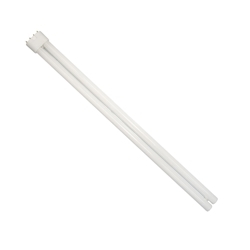 These 55w replacement tubes are suitable for use with 2-tube and 4-tube fluorescent lights. 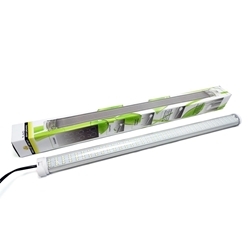 The Sunblaster T5 is complete lighting system ideal for propagation. 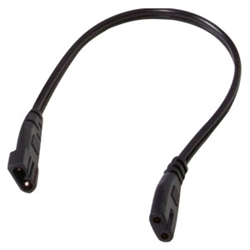 The T5 Link Cord is a handy accessory to have to link your individual T5 Lamp strips together making a larger model to suit your needs, Maximum wattage 270W. Omega Lighting’s range of CFL lamps are recognised as the market leader, bringing together excellent quality as well as guaranteed reliability. 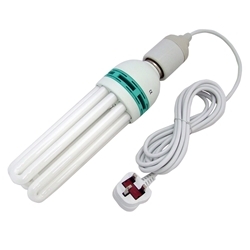 All Omega Lighting CFL lamps are energy efficient and offer low energy options to your customers. Ideal for growers who want to cut electricity costs, whilst still achieving high yields. Omega Lighting’s precision engineered lamps provide an optically superior product. Beam patterns are smoother with striations and hot spots significantly reduced. Not only are they energy efficient but they are tuned and optimised to create a higher PAR output. Omega Lighting’s advanced super-lumen technology, produces additional wattage from the bulb. This increased output does not affect the lifespan of the bulb. During the propagation stage a plant still needs light in order to grow. The amount of light given off by High Intensity Discharge lights (such as HPS lamps), however, is usually too much for seedlings and cuttings. For this reason, it is recommended to use a Fluorescent Lamp during propagation. These low wattage lamps emit less light and heat – but still provide the necessary amount of lumens for a plant to survive. 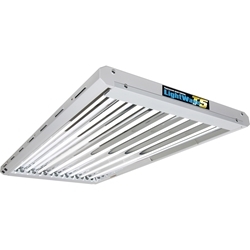 Alternatively, you may wish to use a Fluorescent Tube Light or a T5 Propagation Light. These lights come as complete units (with a reflector) and contain either 55W bulbs (for Fluorescent Tubes) or 24W bulbs ­(for T5’s). 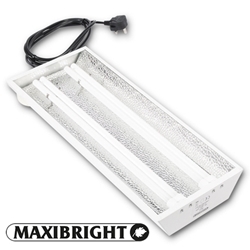 The advantage of using these lights is that they are compact – meaning you have an increased amount of space in your propagation room or clone station. All of the lights on this page come with blue or white spectrum bulbs (ideal for vegetative growth) and produce low amounts of heat. To find out more about each product, click on an image to the right, or contact us via email, over the phone or at our central South West London store.